Grosvenor and Hilbert Park which was first opened in 1889, is a popular recreational area. Located in Royal Tunbridge Wells, Kent, the park has two woodland areas and is classified as a local nature reserve. In 2016, it gained Heritage and Big Lottery Funding to renovate a number of key areas. 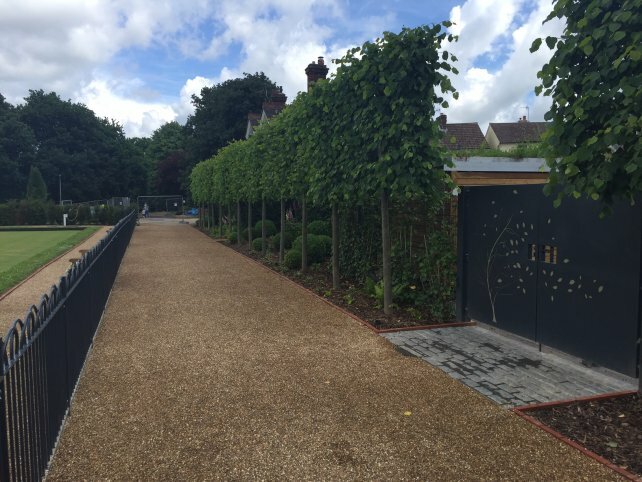 The park is managed by Royal Tunbridge Wells Borough Council and Blakedown SE had been contracted to carry out the works. Due to the nature and scale of the restoration, the parks project has been shortlisted for a BALI award in the category for “Best Regeneration Scheme over £500k”. 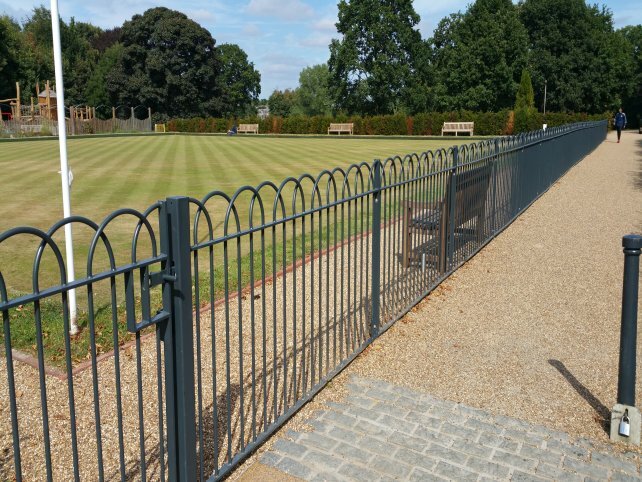 Alpha Rail was asked to manufacture and supply metal railings and gates to a variety of locations. The overall aim was to retain the aesthetics within the park and improve the perimeters and boundaries of certain locations including Oast House, Marnock Lake and The Hub. A stunning entrance gate was supplied which Alpha Rail manufactured from steel plating. This featured imagery of a tree with falling leaves that were laser profiled into the metalwork. 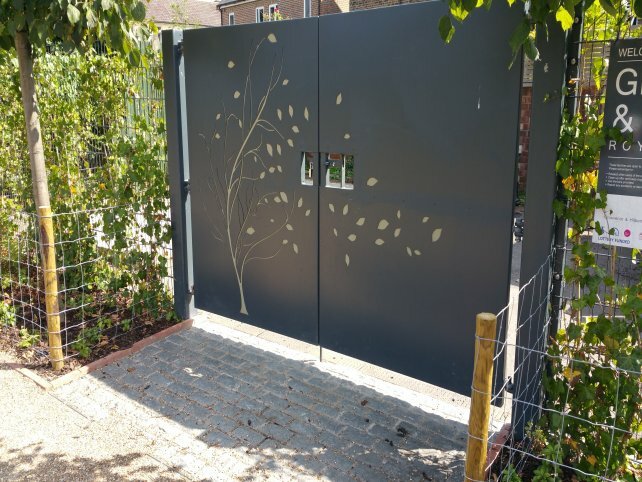 This impressive plate steel gate is the entrance to the new park compound and placed between a line of newly installed pleached lime trees. This structure was supplied accompanied by supportive metal framing and mounting pillars. 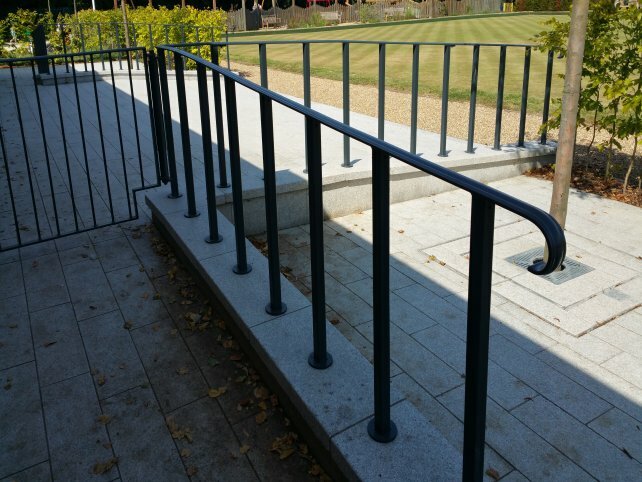 For Oast House, Marnock Lake and Wetlands, handrail balustrade was installed and mounted on retaining walls using circular posts. These posts were core drilled into concrete and finished with circular cover plates to prevent water dripping down and pooling in the base of the posts. 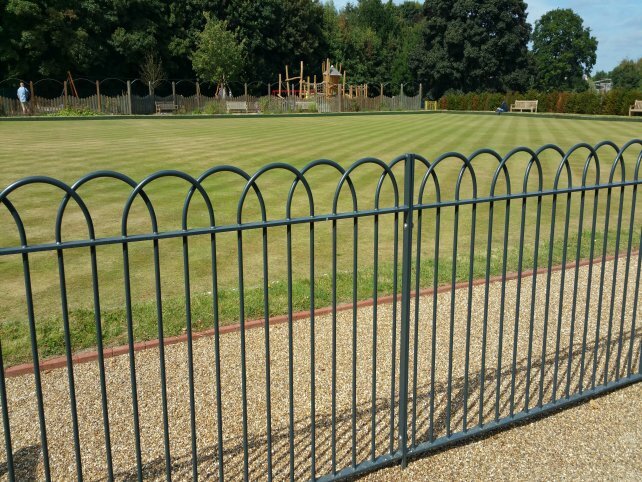 In the ballgames area, 55 metres of 500mm high interlaced bow top metal railings was supplied to be installed around a lawned bowling green area. 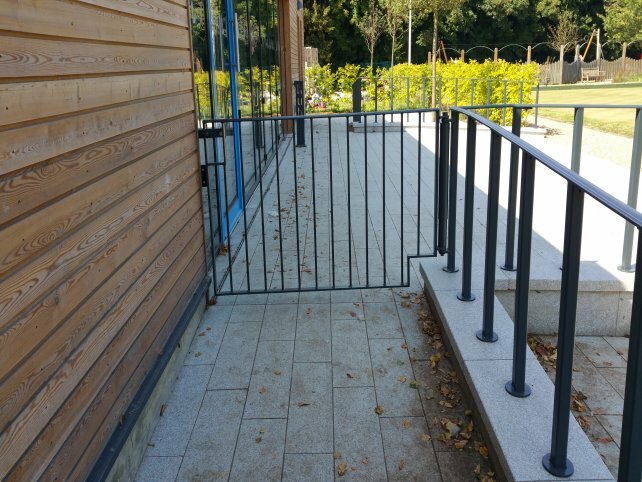 This helped to prevent any unauthorized entry and a single leaf gate was installed to provide pedestrian access to the area. All metalwork was supplied galvanized and polyester powder coated RAL7021 Black Grey in accordance with to BS7017. "We have used Alpha Rail on many occasions in the past because they provide high quality products and have always proved to be an extremely reliable company."